Tinta Color Contrast produces striking intense color with a beautiful healthy result and can be used on both natural (meaning Medium Blondes and Lighter) as well as color treated hair. It preserves the integrity of the hair even with repeated applications. 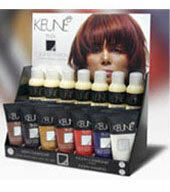 Special built-in conditioners leave the hair smooth and shiny.